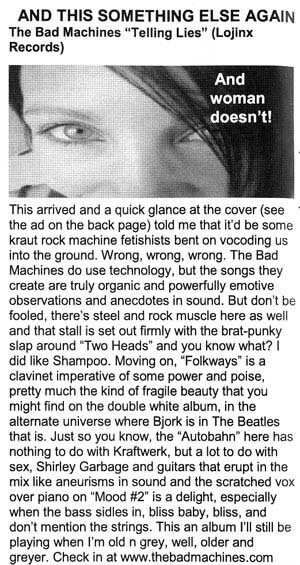 "Undoubtedly a band that will go places"
"this isn't a one-song-wonder of an album"
"a cracking indie pop record"
"...the alternative universe where Bjork is in the Beatles..."
"...powerfully emotive observations and anecdotes in sound." 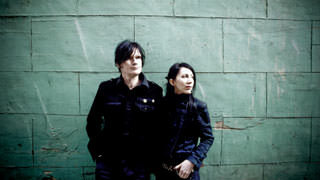 "heart and soul underpins a genuine emotional integrity"
"this is really an impressive CD"
"quality tunes that ought to be played often and at high volume"
"'Telling Lies' has some emotional resonance, as well as offering a feast for the ears of those who take pop music seriously"
"pop genius, electro perfection and indie greatness in pretty much every track"
"Café crème airy, light, a style that is dreamy and wistful but not cloying or emotionless." 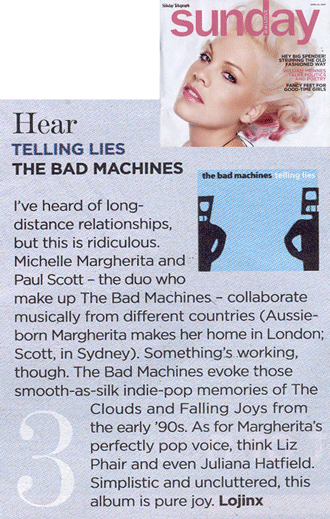 "Telling Lies is as fresh and playful as it is stylish and dejected"
"The album is a refreshing alternative and requires very little effort to enjoy." "Imagine the feeling of something seemingly lost but possibly retrievable, the emotions here are almost confessional and forgiving"
"More people should know about this record"
"a mix of energetic and upbeat songs sitting alongside some hypnotic, slow numbers, all designed to get that weekend feeling flowing"
"Will it be long before people start asking ?Who?s that band?? Watch this space." 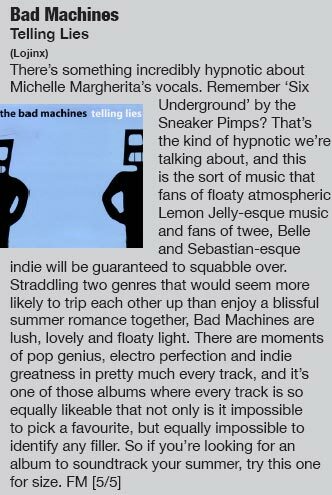 " revel in these girl-rock lyrics and let this beautiful album drift over you." 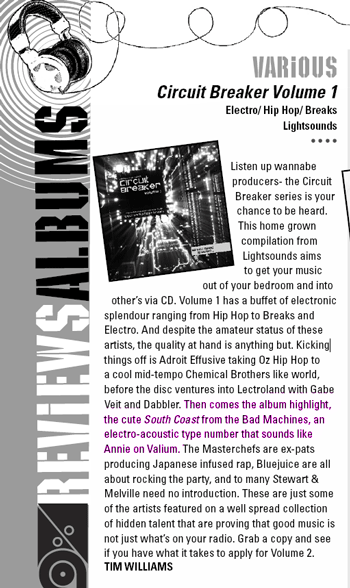 "..this album is pure joy"
"..the album highlight..annie on Valium." 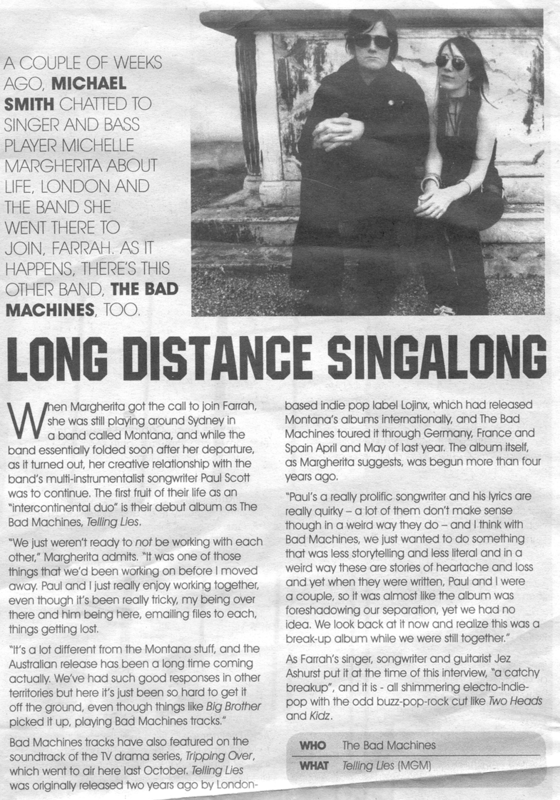 Feature - "Long Distance Singalong"